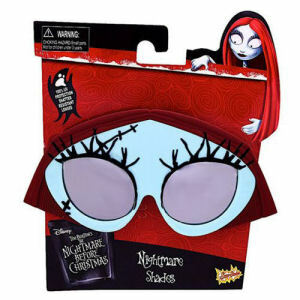 We have Just Sold out of Nightmare Before Christmas Sally Sun-Staches. Not to Worry! Fill in the Notify me When Available and you will be the first in line for our restock of Nightmare Before Christmas Sally Sun-Staches !! From the The Nightmare Before Christmas collection by Sun-Staches. Nightmare Before Christmas Sally Sun-Staches. Shades measure about 7.25 inches across. One size fits most and all Sun-Staches provide 100% UV400 protection. Sun-Staches The Nightmare Before Christmas Attire shipping from Canada. No Surprise Border fees or Customs!